— Corinne Canter, Program Director, Human Synergistics. 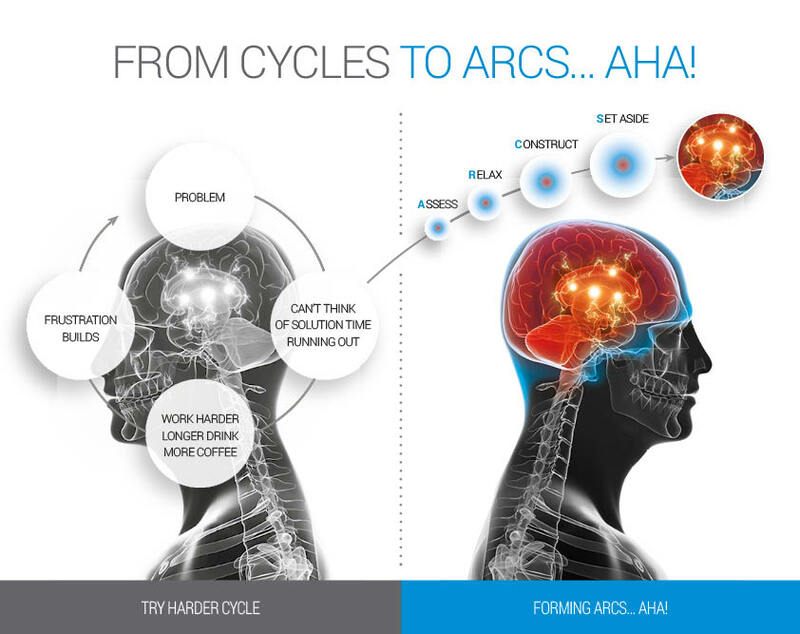 Human Synergistics developed Extrem³e Thinking as a technique to teach business leaders how to alter their brainwaves in order to develop greater control over powerful Aha moments – to learn how to unlock sparks of insight and creativity on command rather than by accident. Extrem³e Thinking is a four-stage process that anyone can learn and incorporate into their daily routine. Following the steps requires you to first recognise that you are struggling with a problem and then distance yourself from the frustration in order to alter your perspective. Finally, you set the problem aside for a period of time allowing the data you have gathered to gestate in your unconscious. When you return to the problem, your brain is operating at a more optimised level. You have switched off your intensive, over-analytical thinking and have entered a new, more relaxed mental state we call the SuperMind. In SuperMind the brain enjoys the full power and speed of the unconscious. The mind is relaxed and wakeful and the fastest Gamma brain waves, the seat of the human imagination, are freely flowing, delivering rapid creative insights. The fast processing of the Gamma waves together with a more active Parietal lobe that is cross-referencing its networks to process information to help produce creative ideas with greater clarity and certainty. See in more detail below of how following the Extrem³e Thinking process can move you from the frustrating ‘Try Harder Cycle’ towards inspired, problem-solving ideas.